Mullah Abdul Ghani Baradar Berader aka Mullah Baradar Akhund or Mullah Brother was born 1968 in Yatimak village, Deh Rahwod District, Orūzgān Uruzgan Province. He grew up in Kandahar in a madrassa and fought in that province, mainly in the Panjwayi area, against the Soviet army in the 1980s. He is a Durrani Pashtun (Pathan) of the Popalzai Popolzai tribe (same tribe as the Karzai family hails from) Baradar fought with the Afghan mujahideen during the Soviet-Afghan War and afterwards operated a madrassa in Maiwand, Kandahar Province alongside his former commander, Mohammad Omar (the two may be brothers-in-law via marriage to two sisters). His wife is Mullah Omar's sister. He controlled the money. He was launching some of the deadliest attacks against the Afghan and foreign security forces. But he was also a key Taliban operative, believed to be in day-to-day command of the Taliban insurgency and its funding. Mullah Ghani Biradar is not only co-founder of Taliban Tehrik and had served the Tehrik in very important capacities. In 1994 he helped Omar found the Taliban. During Taliban rule (1996–2001), Baradar held a variety of posts. He was reportedly governor of Herat and Nimruz Province and/or the Corps Commander for western Afghanistan. An unclassified U.S. State Department document lists him as the former Deputy Chief of Army Staff and Commander of Central Army Corps, Kabul while Interpol states that he was the Taliban's Deputy Minister of Defense. In November 2001, as Taliban forces collapsed after the American invasion, Mullah Baradar and several other senior Taliban leaders were captured by Afghan militia fighters aligned with the United States. But Pakistani intelligence operatives intervened, and Mullah Baradar and the other Taliban leaders were released, according to a senior official of the Northern Alliance, the group of Afghans aligned with the United States. The afghan government was reportedly holding secret talks with the baradar, and his arrest is said to have infuriated president Hamid Karzai. Despite repeated claims that Pakistan would deliver Baradar to Afghanistan if formally asked to do so and that his extradition was underway. He was expressly excluded from the list of taliban leaders planned to be released by Pakistan in November 2012. Before his 2010 capture by Pakistanis, he made few public statements. Little was heard of Mullah Baradar's fate until late in 2012 when his name repeatedly topped the list of Taliban prisoners the Afghans wanted released in order to encourage nascent peace talks. Baradar was released from Pakistan custody 20130921, but did not return to Afghanistan. 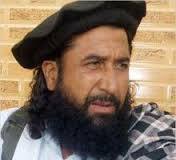 Baradar was the head of the Taliban's leadership council the so-called Quetta Shura , which operates in underground exile in Pakistan and he commanded its military operations. He ranked second only to Omar, who hasn't been seen in public since 2001. Omar acts as the spiritual head of the group, while Baradar had operational control. Pakistani analysts said Baradar's whose recent capture in Karachi was reported on February 8, 2010 suggested either that Islamabad had abandoned its attempt to promote peace talks or the Taliban number two had fallen afoul of the Pakistani authorities. Details of the raid remain murky, but officials said that it had been carried out by Pakistan’s military spy agency, the Directorate for Inter-Services Intelligence, or ISI, and that C.I.A. operatives had accompanied the Pakistanis. Analysts said Baradar was the most likely point of contact for any future talks. Pakistan's Inter-Services Intelligence (ISI) agency "might have conducted this raid, because they have made it very clear to the Americans that any negotiations that are held between the Americans and the Taliban have to go through Pakistan." There was a rumor that Mullah Baradar has died in Pakistan. (20121204) For the time being he is under control of Pakistan authorities.